Feeling a sharp sting and then finding an unknown spider bite can be a disturbing experience. 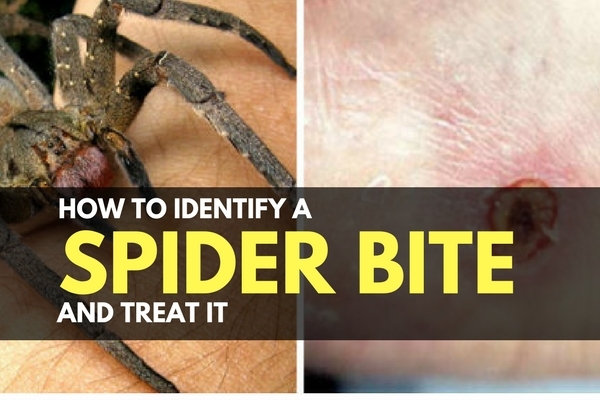 If you know which symptoms are dangerous, and the basics on how to treat dangerous spider bites, you will be one step ahead. 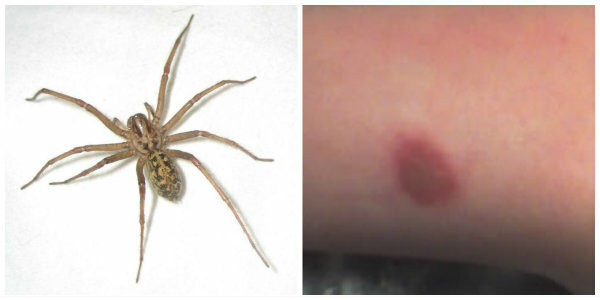 Learning to identify a spider bite is important so you can know the risks and how to treat the bite. Some spiders can cause tissue necrosis, paralysis, and even death. But others can hardly break the skin and they don’t have venom toxic to humans. This is one reason an unknown spider bite can be unsettling; you simply don’t know what you are up against until the symptoms appear. Shaking out your boots and gloves before you put them on and checking sleeping bags before you climb in are always a good idea. Don’t get caught off guard, and if you do- don’t panic. Just find the spider, seek medical help if needed, and treat the bite. The best way to find out what kind of spider bit you is pretty simple: find the spider. If you can find the actual spider, you should have no trouble identifying it based on size, color, and markings. If you still don’t have any clue as to what type of spider it is, you can consider capturing or killing it and bringing it with you when you are seeking medical attention. Spiders that require antivenom are pretty easy to identify in the bright lights of a medical facility. While that may sound pretty bad, most spiders in America are not poisonous to humans. Out of the spiders that do have venom dangerous to humans, only a few of them can actually break skin with their bite. That leaves only a select few that are dangerous enough to do some serious damage if the bite is left unattended. Even then, the results of a spider can vary from person to person and spider to spider. Of these spiders, the ones that you really need to be aware of if you live in the US are the Black Widow and Brown Recluse. 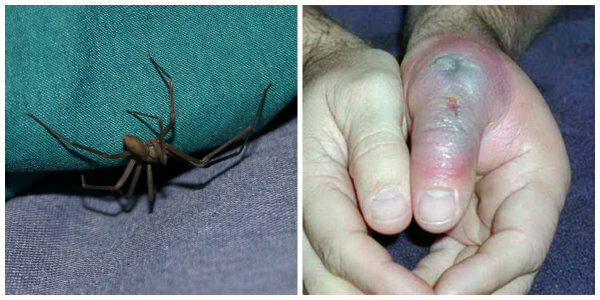 Other spiders can cause issues for people with allergies or other conditions, or can cause issues localized to the bite area, but the Black Widow and Brown Recluse are the most problematic. These spiders won’t give you bites that have you showing up in the ER any time soon, but they still are well known to test out their chompers. Wolf Spiders: These hairy spiders run pretty fast. 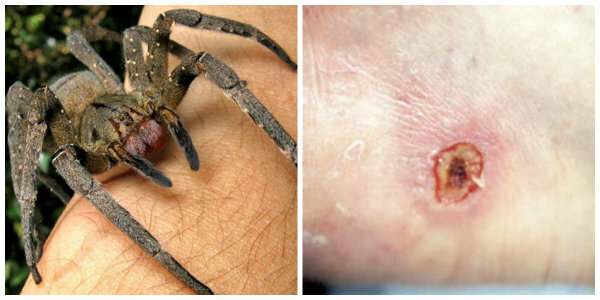 They are larger than most spiders, so a wolf spider bite can easily break the skin. Fortunately, their venom is not very effective against humans and bites can be treated like a typical spider bite. Camel Spiders: These freakish looking arachnids are brown, gray, or tan and live in warm desert climates around the world. They are usually nocturnal and are attracted to light. Camel spiders don’t carry dangerous venom, but they have large mandible jaws that can be very painful when they bite. If the camel spider is large enough, it can cause profuse bleeding. Mouse Spiders: Also known as Missulena, these spiders are mostly native to Australia. Bites from these spiders can cause health problems if they are not attended to. Luckily, bites are not common. House Spiders: House spiders come in a few different varieties. Domestic house spiders are also known as barn funnel weavers, and are typically harmless even though they can be confused with a brown recluse with their size and color. The southern house spider is also pretty harmless although it is bigger. The common house spider has a bite that is painful and can cause mild swelling. They are typically found in basements and crawlspaces. Parson Spiders: Also known as the eastern parson spider, the parson spider is found mostly in the central US. A parson spider bite is rarely painful, but they still do bite. Jumping Spiders: These spiders can be pretty surprising considering they jump and can be fairly large. The good news is that they are mostly found outside in the woods. Deal with the bite as you would any regular spider. Sac Spiders: These yellow spiders can appear brownish in dim light, allowing them to be often confused with a brown recluse. Unlike the recluse, they don’t have any violin shaped marking and appear much lighter. 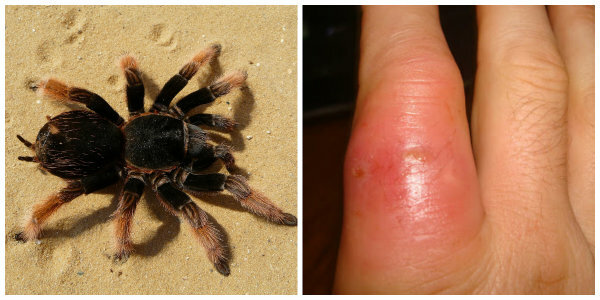 If you get a sac spider bite, you want to treat it as we detail below even though it can be very painful. Even the spiders that don’t pose a threat with their venom they can still cause serious damage through exposure and infection. Infection was a steady killer before modern medicine, where humans have the ability to clean their wounds. There is no such thing as over-cleaning a bite, so make sure you get it free of dirt, debris, and bacteria. Many people have an irrational fear of spiders. Just knowing a little bit about spiders can go a long way in preparing you to deal with them. Bites are pretty easy to manage if you know what you are looking for. Sometimes the battle is figuring out what type of bug bit you rather than what spider. 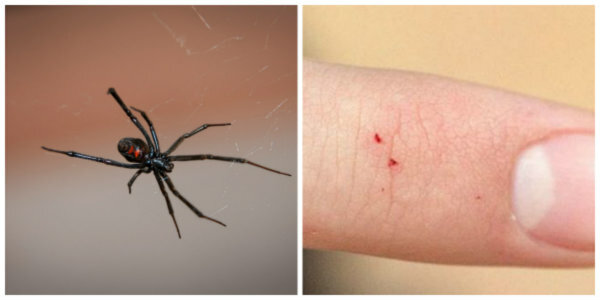 Certain bug bites also cause two puncture wounds that are typically the signature of spiders. I don’t get bent out of shape over spiders- but snakes… that’s a different story. I would prefer to deal with a spider bite over a snake bite any day. I’ll face my fear next week when we go over the dangerous snakes found here in America. Keep exploring, stay prepared, and be safe.